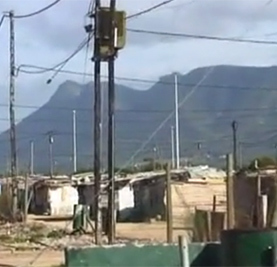 Following the end of apartheid in the 1990s, HouMoed Centre started life as a night shelter for the homeless on the disused Hermanus airfield site in Zwelihle township. Theo DeMeyer, a retired hospital administration director, was the inspirational founder. 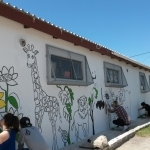 With much hard work on the dilapidated buildings by some older boys under Theo’s leadership, by 2000 the shelter had become a youth centre, providing activities and a meal for the children. It was able to register as a Non Profit Organisation and obtain modest financial grants. Hou Moed became a vibrant community centre, adding after-school development and recreational facilities and a games area. 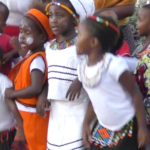 The original Yomelelani PreSchool and Care Centre project, on a small area of the site, was founded at a public meeting on September 19 2003, at the Zwelihle Library. The project was the cooperative vision of Ron Marchant, Henriette Oldhoff and Marilyn van der Velden, who approached Theo DeMeyer about the possibility of utilising the premises of HouMoed in the mornings and early afternoons for such a venture. In that same year, the Recycle Swop Shop (the project which “helps children help themselves through recycling”) was opened on the same premises. Soon after, Mr DeMeyer agreed to proceed with the project and the Night Shelter was closed. When Theo retired, aged 80, the centre was transferred to a national charity but was handed back to the Municipality in 2014. 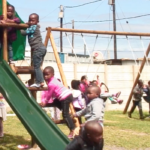 The Yomelelani Pre-School had started to flourish, and was granted a lease from the municipality for the whole of the site and buildings. 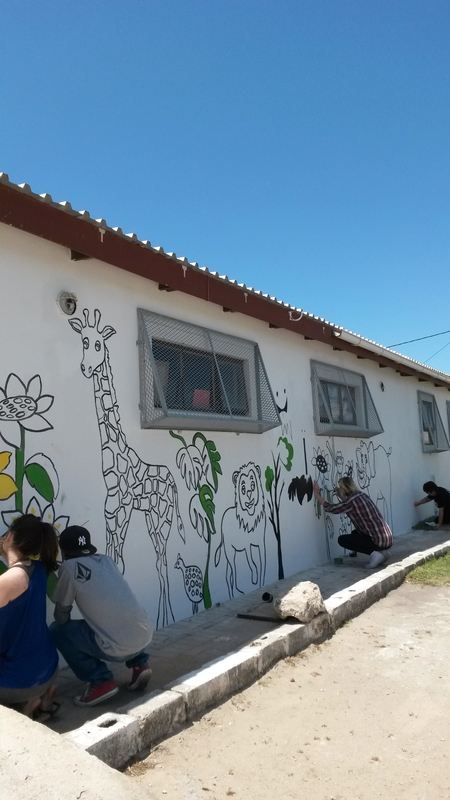 Yomelelani runs a pre-school and outreach with plans for the Hoe Moed centre in Yomelelani’s future.